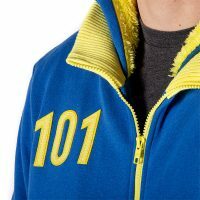 This Vault 101 Hoodie Nuclear Winter Edition will make you look like you’re a resident of Vault 101 from Fallout. 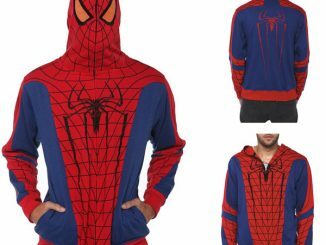 You don’t even need a jumpsuit. The entire hoodie is lined in yellow sherpa and features an embroidered 101 on the front and back. 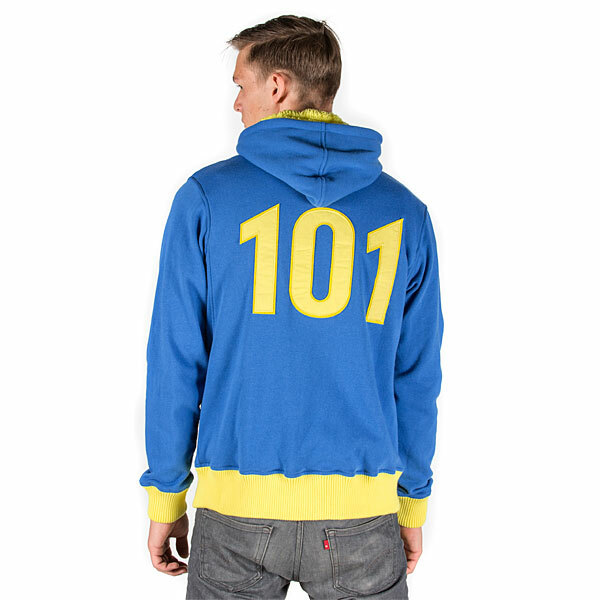 Hoodies are so much more comfortable than Vault-Tec jumpsuits after all. 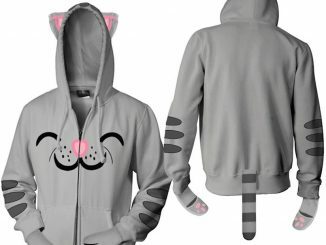 This hoodie is the way to go. 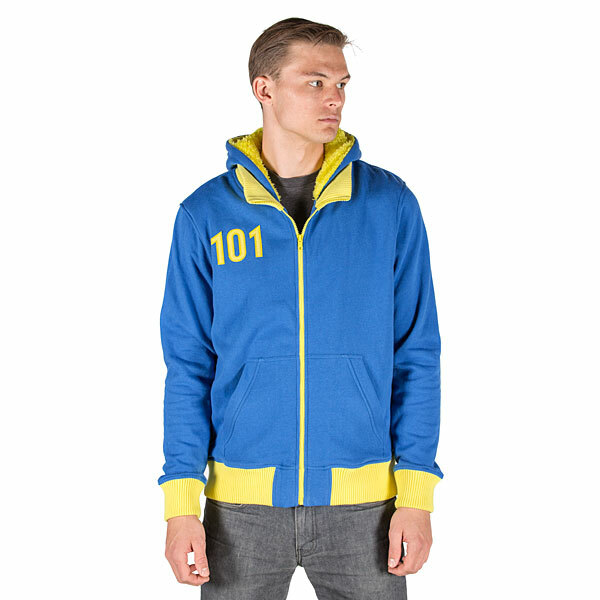 This bright blue, 60% cotton / 40% polyester, full-zip hoodie will look great on you this winter and keep you nice and warm. 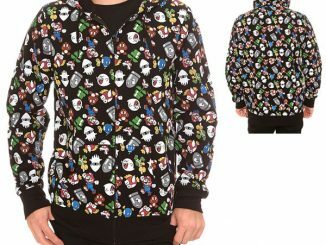 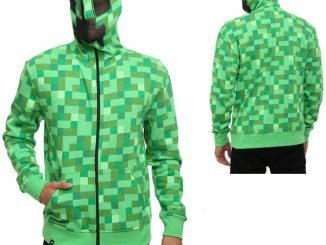 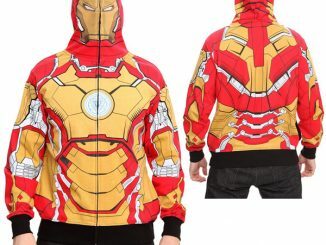 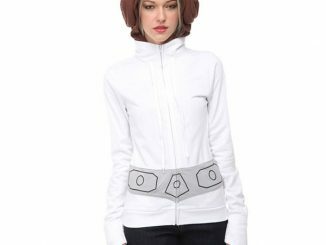 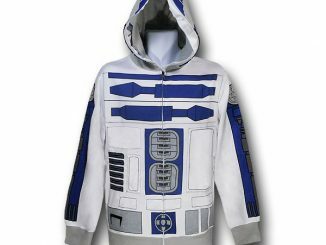 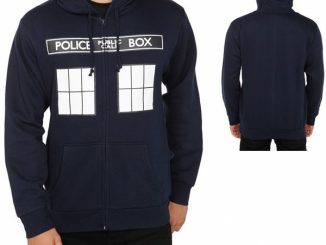 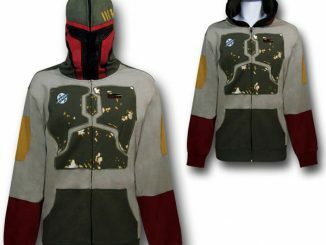 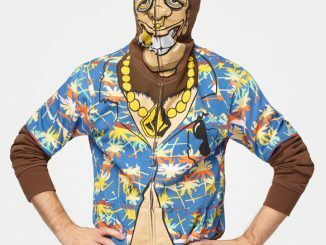 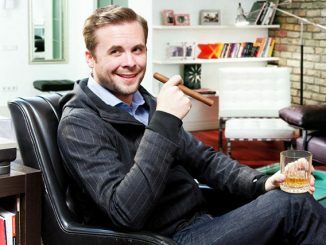 It is only $67.99 from ThinkGeek.com.